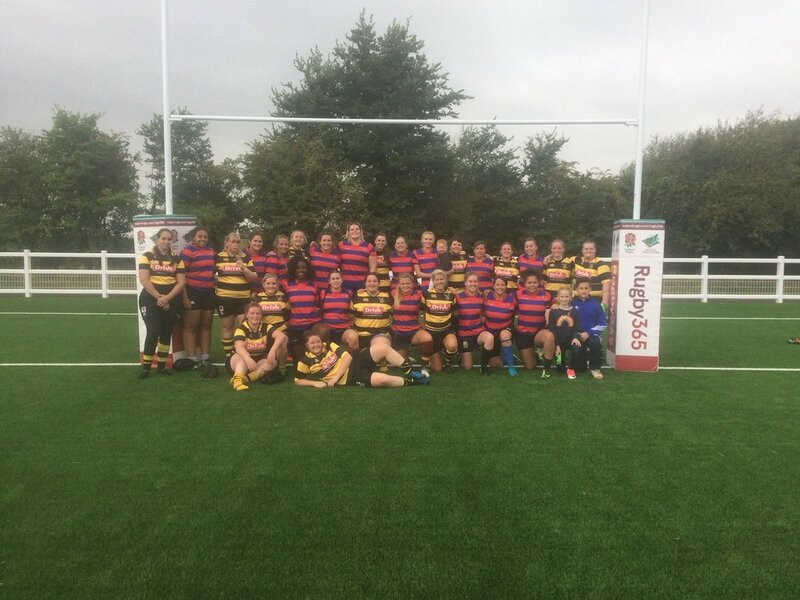 North Bristol Ladies brought the curtain down on a fantastic AGP opening weekend as they torched brave Hornettes for thirteen tries on their way to their second league win of the season. Tries flowed throughout the game and fly-half Danni Rigby helped herself to thirty-four points with four tries and seven conversions. Her half-back partner Alicia Eastment, in just her second game playing scrum-half, made a great break after four minutes where she looked likely to score from sixty metres but a superb tackle from the visitors halted the effort. Eastment though was first to the loose ball from the resulting scrum to claim the deserved try. Further tries came during the first half with Jo Smerdon and Amy Eves scoring and with Hornettes scoring one themselves North Bristol led 45-5 after a twenty-five minute half. Three long range tries followed the re-start with Smerdon, Rigby and Kalee Hopkins racing in from inside their own half to push the score to 64-5. Hornettes claim their second score with a fine break through midfield but Eves and Phoebe Paddock had the final say in the game crossing for one and two tries respectively to end the game with North Bristol winning 83-10. On her debut, try-scoring number 8 Eloise Linton picked up the forward of the match award with Smerdon picking up the award for the backs.